Thinking Out Loud doesn’t have the typical pop arrangement of verse/verse/chorus/verse, etc. Instead, it consists mainly of two large sections, each of which contains four short mini-sections that are melodically different from each other, but that build upon each other quite naturally to deliver the passionate import of the song. 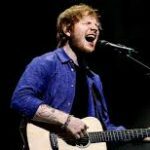 So, with all the emotional stir of Sheeran’s delivery, we’re also deeply pleased by a satisfying structure—including how the second half exactly parallels the melodic outline of the first. Here, the melody rises and falls very modestly — yet there is wonder and yearning together with warm confidence in the way each line rises from the third up to the sixth, and then settles down to the tonic. So while the melody has an easy, casual way about it, there’s already a growing fervency. Piano, drums and bass are now added to the mix as the momentum gathers. In the lines of the next mini-section, there is a pattern of notes that eagerly strive upward, settle down to something more anchored, and then rise again. There’s a pleasing relation of rushing forward and pause, as his passion continues to build. We just heard the transitional phrase: “And I’m thinking ‘bout how…” which will lead us into the next mini-section. The melody is again different, with each line beginning with a tightly struggling, high-pitched phrase that then resolves. I love Aesthetic Realism for showing that we all want to put opposites together every moment of our lives. We want, as we’re taking it easy, to feel it is on behalf of vivid, lively respect for the world and people. And we want to feel, too, that we are capable of large emotion, and then, when we do have large feeling, that we can be truly at ease, not uncomfortable and looking for a chance to smooth things out. The thing in you that wants to be passionate about the truth and beauty in this world is you. The other thing is an imposter. I count myself one of the lucky people living on this earth to know that having big emotion about the world outside of me is the same as true comfort for my own dear self. And I aim to feel this more and more as my life goes on. The title of this song, “Thinking Out Loud,” itself puts together the opposites of quietude and outburst that I’ve been writing about, while also illustrating what Eli Siegel has shown are the opposites central in rock and roll: private, secret, inner feeling made into a public announcement. Then there’s what the song is actually saying. In the first part, he tells a woman that when she grows old he’ll still love her; and in the second part, he says that when he grows old, he believes she’ll still love him. And each part culminates in his saying, “So now, take me into your loving arms” and the rest of that passionate chorus, concluding with, “I’m thinking out loud, maybe we found love right where we are.” So, like the qualities we find in the music itself, there is in the words passionate feeling together with a kind of rock-solid confidence and ease. I’ve thought about that last line and the phrase, “right where we are.” It seems to say that love can be found in the world as we find it here and now — not in some other time or place of our imagination. I’m immensely grateful that because of what I’ve learned from Aesthetic Realism, I’m more in love now with my dear wife Carol McCluer than at any time in our marriage. That is because we’ve learned from Aesthetic Realism that our care for each other needs to be based on care for the world itself. As you’ll hear, the second large section exactly parallels the structure of the first section that I described — both melodically and with the repeat of certain rhymes and phrases in the words, making for a satisfying relation of sameness and difference. As the song goes on, more and more is added to the accompaniment, causing the feeling to build: the piano gets busier and stronger for example, and backup singers quietly join the lead singer, sometimes harmonizing with him, other times backing him up with rich harmonies on the syllable “Oooh.” Then there’s a guitar solo. It, too, has that relation of fervency and measure that is in the song as a whole. And it leads to the concluding chorus, where Sheeran is joined even more strongly by the backup singers, whom I like to see as standing for the outside world ratifying his emotion. The great Aretha Franklin has died, but the powerful, soul-stirring effect that her singing has on us will live on for all time. 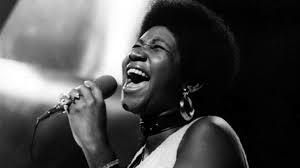 When, for example, we hear one of Aretha’s high-energy rockers (such as Chain of Fools, Since You’ve Been Gone, or Respect) or some of her more meditative pieces (like I Say a Little Prayer or Natural Woman), we hear a beautiful togetherness of power and grace, straight-line simplicity and tremendous richness of meaning, a single self and the wide universe. And we want this: We want to feel powerful and graceful at once; to feel that our most intimate feelings are connected with the unlimited world. In Aretha’s best singing, there seems to be no separation between her own feeling and the sound that meets our ears. She reaches us from the depth of her very self. She tells the truth in sound. I believe we love her singing because it has us feel maybe we can break out of our own self-containment and get to a large, passionate feeling about something or someone, and through doing so, feel more truly ourselves. God bless you, Aretha Franklin. And thank you for the beautiful honesty you bring to the art of song. 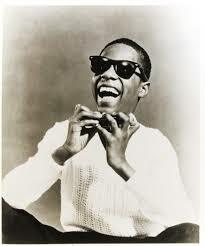 This summer marks 55 years since the amazing live recording of Stevie Wonder performing Fingertips, Part 2 (at age 12) first mesmerized our nation. To commemorate that auspicious beginning in 1963 and to celebrate the love for Stevie Wonder felt by people worldwide, I’m proud to post a video of a paper on Fingertips, Part 2 that I gave as part of a presentation, “What Music Says about Our Lives—A Celebration!” at the Aesthetic Realism Foundation in New York. I’m amazed it took until this year for the great British rock band The Moody Blues to be inducted into the Rock and Roll Hall of Fame. But they’re in now, and they surely do belong! In 1967 they did that daring thing: they created a rock album Days of Future Passed with an orchestra consisting mainly of classical instruments, calling itself the London Festival Orchestra. And it wasn’t just that this combination was new; it was done with such beauty, such grandeur, and with such authenticity—a certain rightness in the combination—that it made this record a landmark in the history of music. After the lush orchestral overture (The Day Begins), the band comes radiating forth with Dawn Is a Feeling that has in it the expanding, energetic inevitability of the rising Sun. And by the time we hit Peak Hour, the full force of the Moody Blues as a bona fide rock band reaches high noon. Onward through the buoyant joy of Tuesday Afternoon and the poignant yearning of Nights in White Satin, orchestra and band keep intermingling, effectively heightening each other and making for an album like no other. And in all of their subsequent albums, that sense of sweeping largeness joined with the urgent immediacy of rock and roll, flourished and took many new forms. I think the greatest thing about the Moody Blues is the overall sense their songs frequently give us that we are in a world that has goodness, beauty and meaning—a world that is on our side. This comes through not only in the message of the songs, but in the deeply convincing music that delivers that message. As you, my readers, know, my writing on this site is based on this principle of Aesthetic Realism stated by its founder, Eli Siegel: “All beauty is a making one of opposites, and the making one of opposites is what we are going after in ourselves.” Again and again in their best music, the Moody Blues make a beautiful one of gentleness and ferocity, continuity and rhythmic punch, high and low, yearning and joy, definite and indefinite, a single self and the wide universe. This is why we respond to their music with such pleasure: it does what we are deeply hoping to do. Aesthetic Realism shows that all art is a presentation of reality as worthy of our honest respect and love; and as such, it points the way for how we hope to see all the time. Today I celebrate the Moody Blues and thank them for providing an abundance of material for doing just that. In this groundbreaking interview, the very fine flutist Barbara Allen tells what she has learned from Aesthetic Realism about the profound relation between a person’s way of seeing the world and her ability to play her instrument with depth and honest beauty. She is interviewed by composer Dr. Edward Green. Listen and you’ll be amazed at the logic of what she explains; and you also will hear great evidence of her success in the beautiful passages she plays by Mozart, Bach and Gluck. 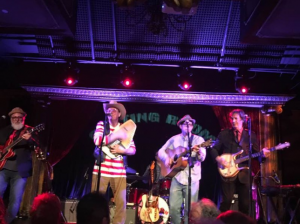 While this site is principally devoted to rock and roll, when something this big happens in the world of music as a whole, I feel I owe it to you, my readers, to let you know. I see the following great principle of Aesthetic Realism, stated by its founder Eli Siegel, as true about every good rock song and about every individual person: “All beauty is a making one of opposites, and the making one of opposites is what we are going after in ourselves.” And at the same time, this principle is true about our nation as a whole. With all her turmoil and confusion, America is trying, even now, to be beautiful, to put opposites together. At the very outset, Chuck’s guitar intro breaks forth out of nowhere with terrific eagerness, freedom, impetuous joy. Yet it’s all very exact; all those excited notes — many of them played in pairs (that is, on two strings at once) — keep a very strict beat even as they ring out with such excitement. And then there is that satisfying sense of curtailment as he plays a series of cascading notes sliding downward and ending neatly, squarely upon the whack of that drumbeat which is right on the downbeat and which propels us into the beginning of the song — and we’re off to the races! It’s important to see that wherever freedom is really beautiful, it is always together with — is always the same as — fairness, measure, exactitude. Isn’t that what we want? Don’t we want to feel entirely free at the very same time feel that we’re being fair? The two mistakes I’ve often made have been to either cut loose and be “free” without much regard for what people or things deserved from me — or to strap myself down and be dutiful and rigidly “organized” while seeing life and existence itself as miserably dull. Art makes neither mistake. And America, our dear country, wants its very freedom to be the same as justice to its own people and to the rest of the world—not to deny liberty to some for the purpose of giving free reign to a favored few. Freedom is beautiful, necessary, a right—when it is at one with justice. But a notion of freedom which is not the same as accuracy and justice, is the beginning of all the evil of the world…The American Civil War occurred because persons of the South wanted to be “free” to own other human beings, to sell them, to do whatever they pleased with them… And there was the “freedom” to have child labor. Employers saw…any attempt to curtail child labor as an impingement of their—the employers’—freedom. One of the delights of “Back in the USA” is the richness of diversity in its technique—its interplay of sameness and difference in sound. After the intro, drums, bass and guitar launch into a lively rock and roll stride as Johnny Johnson’s piano swarms up and down the keyboard. They contradict one another and get along delightfully. And I love how the backup singers come in on top of all this with that ragged, syncopated, alternating “Uh-uh-huh! Oh! Yeah! — Uh-uh-huh! Oh! Yeah!” Their voices, high and low, do not comprise what you would offhand call a lovely or graceful interval, but instead emit something kind of sour, sort of off, somehow wrong and yet so right at once. I love it. What diversity! What contradiction! And what a beautiful stew! And you’ll notice as the song goes along, with each new verse these backup singers keep changing it up — using different syllables and rhythms as they go. Meanwhile that driving beat holds it all together. How much do we need difference — what is different from ourselves — just to be? The answer is, we need it very much. If all we ever met was just what we see as the same as ourselves, we’d go crazy the first day. We need the alphabet, food, metal, mountains, music, other people, and so much else. And I believe that America longs to be in a state where each of us not only “accepts” or “tolerates” people we see as different from ourselves — racially, economically, culturally — but where we honestly feel that we need people different from ourselves — and in fact need them to be different in order to fully be ourselves. This can seem so other than America as we have it now, but I believe it is what the people of America most deeply want. That guitar solo takes ecstatic flight but never loses connection with the ground from which it springs: the basic rock and roll chord progression. And upon reaching the culminating tonic chord, it returns to solid ground. 4. Whose America Is It, Anyhow? Goodbye, Dear Chuck Berry – and Thank You! Where would we be without Chuck Berry? 1. We would not have rock and roll as we know it. 2. The Beatles would not be the Beatles. 3. The Rolling Stones would not be the Rolling Stones. 4. 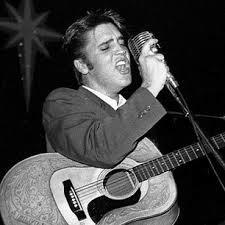 A great deal of popular music that has been loved these 60 years and more would never have been. But most importantly, America and the world would have missed one of the most powerful, positive cultural forces we have seen. And why do I, and many others, feel that? 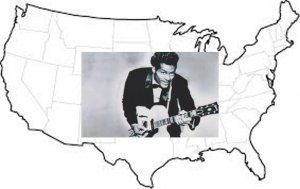 I believe Chuck Berry’s music played a major role in the coming to be of rock and roll itself because of the way it puts opposites together—very importantly, the opposites of freedom and accuracy. Freedom has to be the same as accuracy, otherwise it’s not true freedom at all. Chuck Berry’s music is an everlastingly joyful celebration of freedom, and at its best it is always free and exact at once. We love it because it stands for how we want to be. We want to feel that being fair to, accurate about another person or thing is real freedom—the most authentic expression of our very selves. When Chuck plays one of his exuberant guitar solos at the beginning or in the middle of a song, it always adheres to a very definite chord progression and is contained neatly within the solid rhythm laid down by the drums and band. Often, the rhythm used is “stop-time”—just one strong pulse on the first beat of each measure. As he plays, freedom is achieved not by ignoring these parameters, but by being beautifully faithful to them. And we are thrilled because we are hearing freedom and exactitude—also impediment and release—as one thing. Then there are all the classic guitar licks, riffs and hooks that Berry uses to underlie and punctuate his songs, so many of which have become part of rock and roll’s DNA. Again and again, you hear his strong hands bending the steel strings of that guitar, and while you feel the stress, the resistance, the pressure, you also hear those glorious, triumphant notes come ringing forth—inevitable, unstoppable, clean. In addition to the great guitar work, there is so much else to love in Berry’s music—including his often wonderful lyrics and the energetic, sometimes syncopated, sometimes streaming-staccato way he delivers them over the rhythm of the band, his voice conveying a twinkle in his eye—and again, that sense of joyful victory over obstacles. 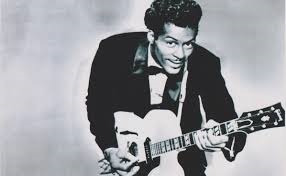 Chuck Berry himself, with many troubles in his life, didn’t know that his music pointed the way for how he wanted to be, and I wish he could have. But his legacy as an artist is very large. Rock and Roll is here to stay, and as long as it stays it will bear his indelible mark. The world owes him an enormous debt of gratitude, and I’m writing this to express some of mine. Goodbye, dear Chuck Berry, and thank you! Are you with me, readers? Let me know your thoughts in the comments. I have described the three possible situations a person may be in, in meeting even a stranger. Assume that John Rosen meets James Robinson. John Rosen talks to James Robinson for five minutes. John Rosen either leaves James Robinson exactly as he was; or through talking to him he can make him worse off than he was; or he can make him better off than he was. “I was introduced to him and I talked to him for five minutes. 1) I left him exactly as he was—I don’t like that. I don’t like talking to a guy for five minutes and not meaning a thing, even though it isn’t bad. 2) I did him some harm; I really did him some bad things; I don’t like that. 3) I did him a little good.” John Rosen likes that; everybody would. Aesthetic Realism enables a person to see clearly how we have affected people, and also what effect we really want to have, and it makes for a beautiful change in that person’s life. I am grateful that this is what occurred with me—changing the deep self-doubt I had, and enabling me increasingly to be honestly proud of how I see and affect other people. I’ll describe here how I changed and also discuss some aspects of the life of the great 20th century singer Elvis Presley, who had a large, good effect on people through his music, and so much wanted to in his day-to-day life. Growing up in Yonkers, New York, I loved the grandeur of the Hudson River with the magnificent Palisades on the other shore; riding bikes in summer and sleds in winter; watching the “Million Dollar Movie” feature of the week on TV with stars like James Cagney, Bette Davis, and Douglas Fairbanks Jr. And some of my happiest memories are of singing in harmony with my sister Marion many of the early songs of The Beatles. As we heard our voices blend and contrast trying to be exact about the notes and the rhythm, our effect on each other was good. Yet when I wasn’t singing, I mainly had a very different purpose. I wanted to be the most important person in my sister’s life, and enjoyed conversations with her in which I made fun of people, looked down on them, and encouraged the feeling that the world was unlikable and beneath us. Without knowing it I was going after the victory of contempt, and didn’t think about what kind of effect this had on me, my sister, or anyone. My parents were very busy—my mother with a house and four children, my father often with second jobs on top of his long hours as a fireman—and there was often tension between them. The lives of my oldest brother and sister seemed to be in frequent turmoil with school, friends, parents and each other. And I remember feeling very early that life was confusing and difficult. I got less interested in things, and took to hanging around with Matty O’Brien on his back porch where we’d complain about having “nothing to do.” With friends in college, I wanted to be seen as witty and keenly insightful as we mocked people and pointed out the “phoniness” we’d seen in “society.” And I encouraged my friends to use drugs with me—mostly marijuana—ratifying in each other the feeling the world was unlikable and should be put aside. One friend, David, was often torn between his pre-med studies and social life on campus. I’m sorry that I never once encouraged him to study, but instead pressured him to party with us. Though I acted like I could laugh everything off, inwardly I agonized about my relationships with people. I would curse myself and cringe, going over and over things I’d said and done. I despised myself and had no idea why. [T]he central force in ethics, the best thing … in man’s mind … can be described shortly as a man’s inability to like himself if he saw that he met someone or something and wasn’t in some way good for that someone or something …. This desire for self-respect is a much more powerful thing than is thought. I began to ask myself with friends, co-workers, people in my family, people I met for the first time: Do I hope this person likes things more, sees more meaning in the world around him or her, is more composed?—and in asking it, I saw how much I wanted to answer, Yes! I felt for the first time I was really capable of being kind. Ten lifetimes would not be enough to thank Eli Siegel for the knowledge that loosened the tangled knot that was my life, and gave me a chance to be honestly proud of my effect on people. I cherish the life I have, which includes my happy marriage to Carol McCluer who is a singer and actress, and the fact that we can study together in classes taught by Ellen Reiss, Aesthetic Realism Chairman of Education. [The] warden threw a party in the county jail. Elvis Presley’s singing is loved because it shows opposites we hope to make sense of in ourselves can be one; That you can be free and not only not lose control, but have beautiful control; That you can give yourself over to something and not only maintain yourself, but be more yourself because of it. Elvis Presley was born in a two-room “shotgun” shack, in the midst of the Great Depression, January 8, 1935, to Vernon and Gladys Presley—desperately poor descendants of Mississippi sharecroppers who perpetually owed nearly every cent they earned to the landlord. He was one of twins. The other, a boy, died at birth. The effect of America’s unjust economic system on the Presleys was enormous and horrible. When Elvis was two, his father, frantic for money, sold his only cow to their landlord. Feeling cheated by the payment—a check for only four dollars—he altered the check to make it appear like 40 dollars. The landlord had him arrested and he went to prison for a year and a half, causing Elvis and his mother to have to leave the tiny shack they rented from this landlord. They remained poor throughout Elvis’s growing up. Elvis came to understand he was the most important person in the world to Gladys, and he repaid that attention by becoming—as best he could—the little man of the house. He was coming to an attitude to the world—feeling it was out to rook him and his family—and that the best way to take care of himself was to stay close to the home base and to those persons he felt belonged to him and whom he could manage. He was very protective of his mother—and often spoke of someday making enough money to “pay all the bills.” But with people outside the family, he is described as “shy” and “removed.” In high school, he painfully felt he “didn’t fit in.” I have learned that when a person concentrates excessively on what Mr. Siegel once called “the near as had by oneself,” it has a bad effect on him and the people he knows—because he is not being true to his greatest need, to like the world himself and encourage that in others. But in his singing, he had another purpose—and the way near and far, the intimate and wide are made one is very often powerful and beautiful. In later years—after the death of his mother and remarriage of his father, and after achieving enormous fame—Elvis shied away from meeting new people in his personal life, and preferred the company of a familiar group of friends, whom he saw, in many ways, as like his family. He demanded their loyalty, and was very hurt when someone acted as if he or she wanted to live an independent life. And it seems he expected the women he was in relation to, including his wife Priscilla, to be devoted to him in an exclusive way. He didn’t know that this possessive attitude had a bad effect on the people he knew, and that it was in conflict with another tremendous desire he had: to be kind. “Elvis couldn’t stand for anybody to be in pain,” writes friend Jo Smith, “If anybody in the group had a problem, he had to solve it.” Once when he learned a friend was having difficulty with hospital bills after the birth of his son, Elvis paid the bills. Another time, when a woman visiting his neighbor suddenly died, he paid for all the funeral arrangements and transportation of her family back to England. And there are many instances of his giving gifts—of money, jewelry, a new car—to people he knew, but also to people he didn’t know, who seemed to him to need it. I think the fight in Elvis Presley between the desire to have an effect on people he could be proud of, and another, more narrow desire, got him down very much. He told a friend, “I’m self-centered, and I don’t like it. It’s a really bad situation.” And I believe this unresolved battle contributed to his insomnia, frequent nightmares, and also his attraction to drugs, which increasingly hurt his life. I wish he could have learned from Aesthetic Realism about the thing in himself that interfered with the deep hope he had to affect people in a good way, a strengthening way, all the time. It is a fact that the understanding of himself and his art he was thirsting for, crying out for all his life, deserved to have and never got, was in Aesthetic Realism all those years. We were a religious family, going ’round together to sing at camp meetings and revivals. Since I was two years old, all I knew was gospel music. That music became such a part of my life it was as natural as dancing. And as he grew, first in Tupelo, Mississippi and later in Memphis, Tennessee, he drank in the white gospel, black gospel, blues and country music he heard on the radio, the street, and anywhere he could find it. The good effect music had on him, he passionately wanted to have on other people. In spite of his shyness, by the age of 9 he had learned some guitar and sang on the radio, and at 10 performed on stage at the County Fair. The purpose of art is to show feeling can have accuracy. An artist feels he should show his feeling, and if he does, it will be delightful to himself and delightful to others. The first recording Elvis made—in 1954 at the age of 19—was “That’s All Right (Mama),” which became an immediate sensation throughout the South. 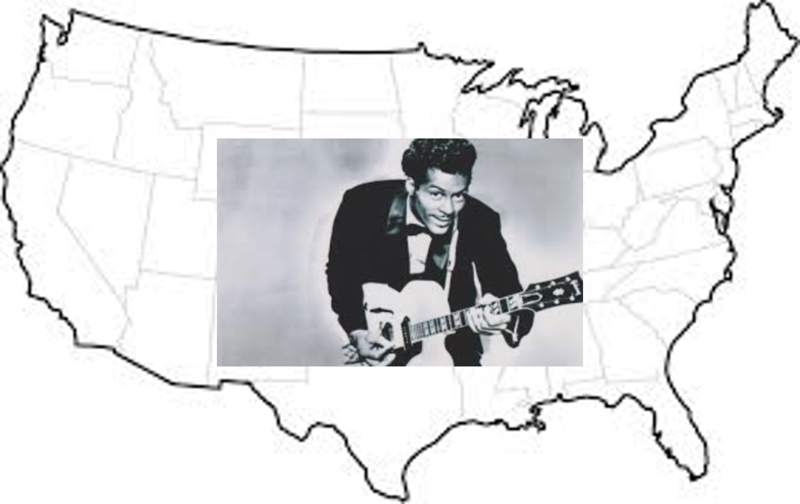 In an interview, he said this about the man who originally recorded that song: “I used to hear Arthur (“Big Boy”) Crudup…and I said if I ever got to the place where I could feel all that old Arthur felt, I’d be a music man like nobody ever saw.” I think the singing he heard and loved gave Elvis hope—however unconsciously—that his feelings, including the pain and degradation of poverty, and his feeling of lonely separation from people, could be given form. Aesthetic Realism provides the logic for this. These great words of Eli Siegel explain for all time why millions of people have loved rock and roll—why I have. The best thing in me, my desire to like the world, has always hoped to win out against my desire to hide, skulk, be inward and strategic. And it is that best thing in me that cared for rock and roll. But I never would have known it if Aesthetic Realism had not made it clear, and it never would have changed. If Kevin Fennell really wants to have good will for Carol McCluer, he’ll feel his mind meets the world in a way it never has before. He’ll see more, know more, things will mean more to him, his life will be more exciting. People don’t know how much non-good will has put a dull gray film on everything. You don’t know how much dimmer your life is now than if your purpose was to have good will. I thank Ellen Reiss very much for this discussion, which made for an immediate change, enabling me to have such pleasure and pride showing my true feelings to my wife, and wanting to know hers. I would say that every person has to make a one of the most secret thing and the most public thing. And rock and roll says that that can be done… Do you believe that there’s a desire for a person to unburden himself as if he were an earthquake?… I say the purpose of rock and roll is to make secrets a public delight. I want every person in this world to know Aesthetic Realism, to learn with pleasure and pride how we truly want to affect people. And I believe Elvis Presley wants the same thing. “Stressed Out” succeeds, as I see it, because it delightfully puts together the opposites of tension and ease, complaint and joy — also boldness and uncertainty, or boldness and modesty. Don’t we want these opposites to be beautifully, sensibly together in our lives? Of course! We like this music (or any really good music) because it does what we want to do. The song is basically one long complaint by a young man about how hard life is and how he longs for the “good old days” of his childhood. But it is done with humor, with rhythm and energy — in such a way that makes it likable. Coupled with this is a deeper, more legitimate complaint that so many young people today have. That is, when they come of age they are saddled with student debt, have a hard time finding good paying jobs, and even so, don’t like the basis on which they are asked to work — to make profit for somebody else. They have a hard time feeling they can have a purpose in their lives they can honestly like. And as a result, they’re “stressed out.” This isn’t said explicitly, but it’s implied. As a fortunate man who is grateful to have learned from Aesthetic Realism about how harmful it has been to my life to use the comfort I got from my mother to see the world as harsh and unfriendly, I am certainly not recommending the sentiments expressed in this song. What I am saying is that these complaints are presented with a form that makes them pleasing and that, in fact, constitutes a criticism of those very sentiments. The question Jamison and other people face is: Can, in one mind, feelings represented by superiority exist with feelings represented by inferiority? Can we be both humble and bold at 3:30 PM Tuesday? — Only art shows that the answer is, Yes. As I said, I believe a large reason “Stressed Out” has been so extremely popular is that, in very likable ways, it puts together these opposites of boldness and humility. Also, opposites related to boldness and humility — definiteness and vagueness. The song opens with very indefinite sliding sounds, produced probably by a synthesizer in sets of three: “buh-um, buh-um, buh-um.” The bass notes hover and hum in a sort of ominous way, which, together with the sliding quality, gives a feeling of swampy indefiniteness. Then there are the spooky, twilight zone-ish, high-pitched, echo-y sounds that come floating in from time to time. You get a sense already of a person feeling aimless, unsure. Now the singer complains about how unsure he is of himself; about how he’s “insecure and cares what people think,” and here he’s like Jamison who sometimes, Mr. Siegel writes, “is timid, wants to evade people, thinks people don’t like him; is unassertive and inferior.” But even here, amidst all this uncertainty and unsureness, the words are said with a very orderly rhythm. He is definite about what he’s unsure about, and together with the drums, we feel a very reliable structure. And tell me if you don’t find humor in his pathetic, self-pitying voice. 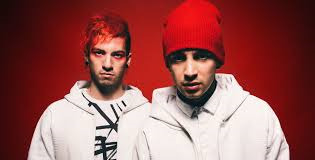 Then the refrain: “My name’s Blurryface and I care what you think.” The melody here — is it downcast or lightsome? The way it descends at the end can seem downcast, but there is also something lovely, buoyant, about it. Meanwhile, the music accompanying this refrain floats even more eerily than before, seeming to represent a self that is drifting all over the place. Yet again, it is all contained securely within that very sure, bold beat. I hope Tyler Joseph and the whole generation of people he is representing in this song will soon learn of Aesthetic Realism and its explanation that the deepest purpose of everyone’s life is to like the world. He could also learn that in the very structure of this recording, he and his musical partner Josh Dun are illustrating, however unconsciously, what liking the world means. The chorus that follows is at once soothing and sour, advancing and retreating, nebulous and exact — and as such stands for a world in which these opposites are one and that therefore can be liked. Floating, spreading synthesizer notes accompany Joseph’s voice as he grows grandly nostalgic on the words “Wish we could turn back time to the good old days/ When our mama sang…” Then the melody gets more tortuous and sour on the words, “…us to sleep but now we’re stressed out,” ending on a really uncomfortable note. When these lines are repeated, drums, instruments and voices come in with more crashing force, once again bringing a definite anchor — and also impetus — to all this floating uncertainty and self-pity. The accompaniment gets bold, like (to use Eli Siegel’s words), “a dozen energetic lions up to something.” And then, with the repeat of the words “We’re stressed out,” things spread out once again. If a person is unable to do something, or if he doesn’t know something, and he knows this neatly, definitely, he will not feel inferior in the morbid sense. He would feel at least he knew himself; and would be proud of that. In other words, in yielding to the facts about himself courageously, truly, there would be a self-approval. Can We Like How We’re Sure and Unsure? I’m grateful to have learned from Aesthetic Realism that the hope to have contempt for the world and people is what has given rise to both fake inferiority and fake superiority in me. As I have liked the world more — and instead of hoping to look down on people, as I have hoped to respect them more — I feel so much prouder of how sureness and unsureness are in me. This is a study I recommend to everyone. Out of student loans and treehouse homes we all would take the ladder (latter). The desperate whine in Joseph’s voice also has energy, rhythm, and humor that make it not just unsure but also bold, confident. Beneath this complaint, piano notes likewise sound both wandering and purposeful. Following the verse, the “Blurryface” refrain and the “stressed out” chorus both come around again in their turn. And while that last line is sung and almost shouted by multiple voices with such ferocity, it also provides the release of humor. I think it is valuable to remember that many of the same people who care for this song and have downloaded it by the millions are people who also responded to the recent campaign of Bernie Sanders. In caring for both, there is a sense: “There must be a better, more likable means for me to conduct my life than what I’ve been presented with so far.” The humor here is good. In the very last section of the song, Tyler Joseph’s voice is electronically altered to sound heavier, darker, more foreboding as it reiterates and hammers home some of the same complaints that came before. But with all the ferocity, the feeling of lightsome humor continues. Can we be both humble and bold at 3:30 PM Tuesday? — Only art shows that the answer is, Yes.